Don’t worry, I’m not about to inform you all that I have hit an all time low and consider all of my dreams to have shattered in my hands. In fact, this is a very positive post! 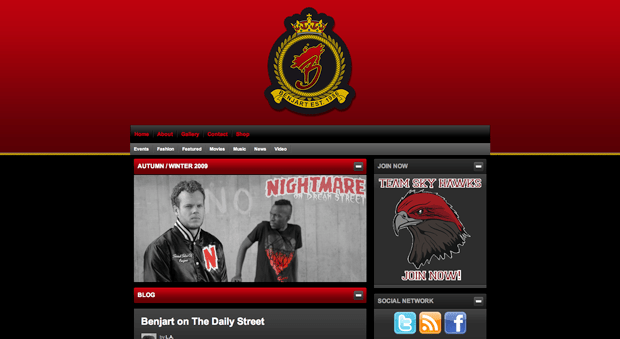 Mr. Benjart has got himself a spanking new website, and a very chic one might I add. Not only is it a new home for all of the exceptional Benjart products, it also holds a rather good blog (notice how the top blog post in the screenshot is The Daily Street…of course). Make your way over there and give it a good scrolling, or even a good clicking. Just do your thing.